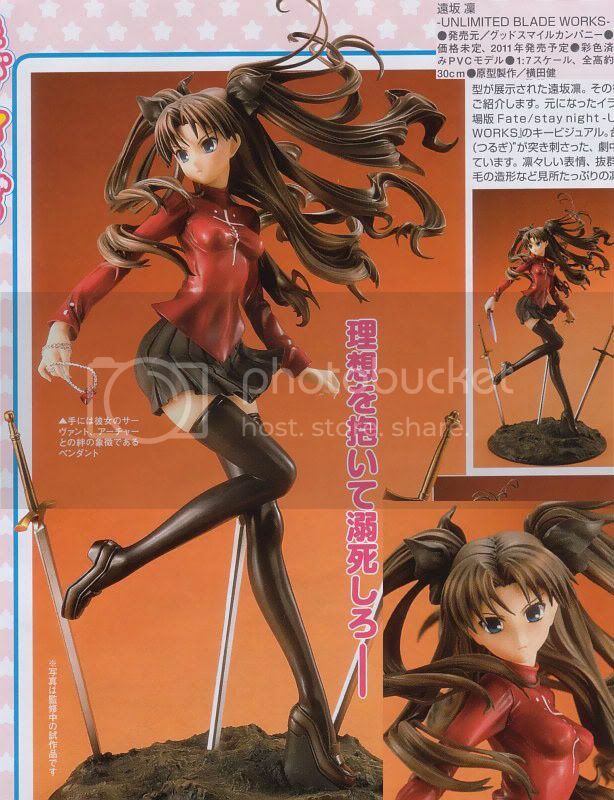 Here is a sneak peek of Rin Tohsaka 1/7 PVC figure from the Fate/Stay Night movie: Fate/Stay Night - Unlimited Blade Works manufactured by Good Smile Company. The image was taken from this month's issue of Hobby Japan magazine. This Tohsaka was on display at Wonder Festival few month ago, but still unpainted that day. According to Kumo's blog, this figure will stands 30cm in height. Both release date & price are still unknown.